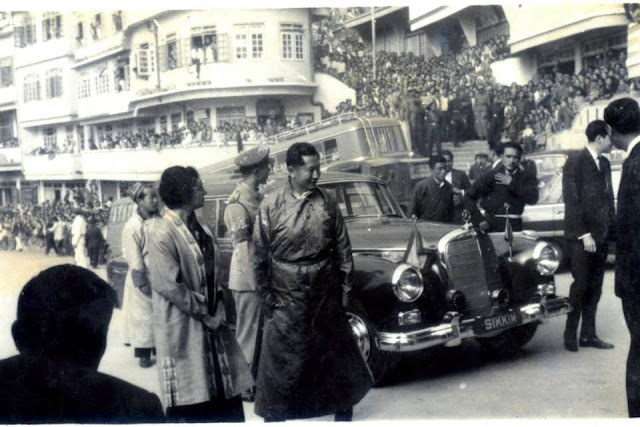 In 1953, Crown Prince Palden Thondup Namgyal was appointed as President of the Mahabodhi Society of India, a South Asian Buddhist organization. 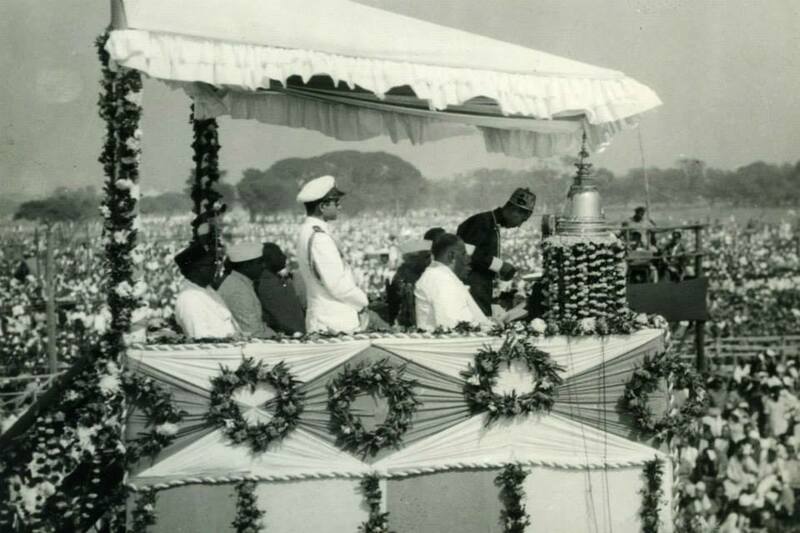 Here, the Crown Prince addresses a crowd in Bodhgaya, India, during the 1956 celebrations for Buddha Jayanti, which marks Buddha’s birthday. 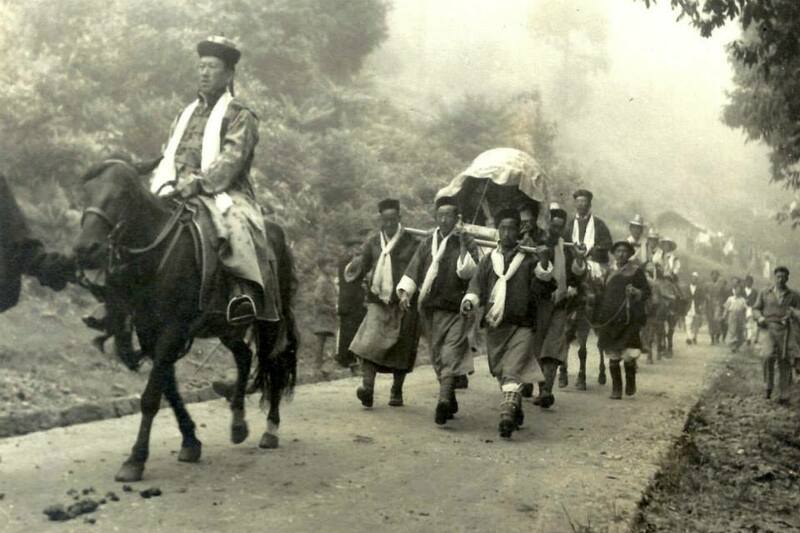 Sir Tashi Namgyal succeeded his brother to become Sikkim’s 11th rule in 1914. His reign was characterized by socio-economic reforms, including the separation of executive and judicial powers, and the abolition of unpaid labor. 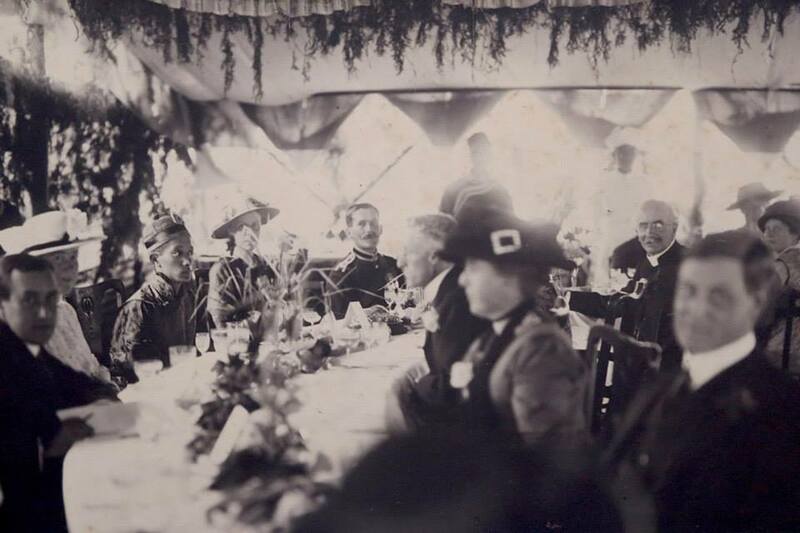 Here, people sit for his coronation luncheon in 1914. Indian Prime Minister Indira Gandhi walks with Chogyal Palden Thondup Namgyal near Denzong Cinema Hall in Gangtok during a visit in 1968. SINGTAM, DECEMBER 14: In the second phase of cleanliness drive along the Joggers Footpath below Shantinagar river side, the members of Shantinagar Goan Sudhar Samiti on December 13 cleaned the bushed grown old football field. The football field was covered with huge bushes grown over the last few years. Half of the field was cleared yesterday to set up volleyball and a badminton court. In the evening, the members of Shantinagar Goan Sudhar Samiti even tried playing badminton. Mohan Sunar, President, Shantinagar Goan Sudhar Samiti congratulated the members for their effort and said that now on the young children of Shantinagar has a playing ground and the parents would be less worried about them running at the road or going to the river. It was also informed through press release, LN Pradhan, Advisor, Shantinagar Goan Sudhar Samiti had gifted a volleyball net and a volleyball to the organization. 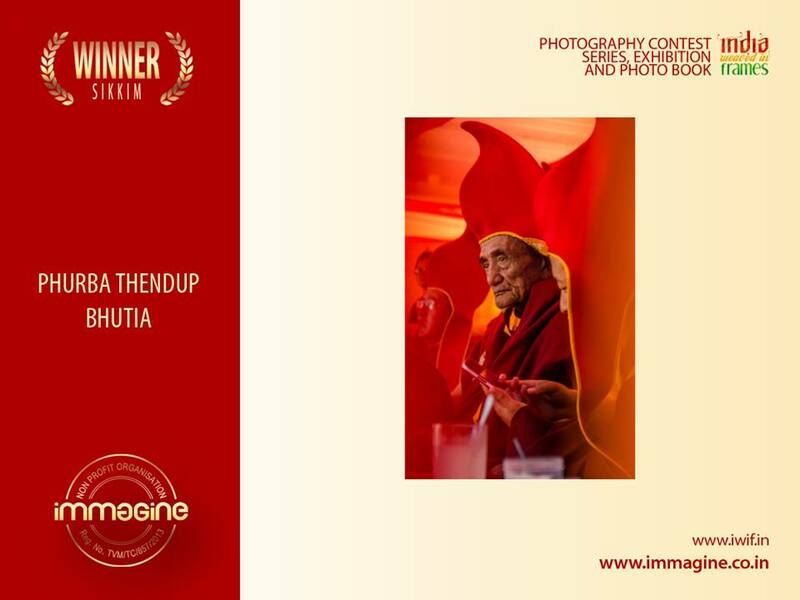 SINGTAM, DECEMBER 14: Photographic Society of Sikkim, Singtam in their press release had congratulated Phurba Thendup Bhutia from Gangtok for winning the Sikkim Chapter of the Second edition of India Weaved in Frames (IWIF) photography contests. Sishir Chettri, President Photographic Society of Sikkim, Singtam has congratulated Phurba Thendup Bhutia. It is a special moment for us; our member’s win will surely inspire our photography team, reads the press release. The winning pic was taken during Kagyed Dance at Enchay Monastery. India Weaved in Frames, in short IWIF, is a collection of 31 photography contests, one contest themed on every Indian state and one for all the Union Territories together. The competition showcased the salient feature of Indian states including culture, heritage, architecture, landscape, people, wildlife, festival, art forms, food, or any other subject of one’s choice. Sikkim Lok Sabha MP Prem Das Rai presented the GLOBE COP21 Legislators Summit Communiqué to MoS Home Affairs Kiren Rijiju at the annual Meet of the Mountain States in New Delhi on 11 December 2015. The event was organized by Integrated Mountain Initiative to celebrate the International Mountain Day. Rai updated the gathering about his participation at the UNFCC COP 21 in Paris, particularly the keen interest in supporting measures for disaster risk reduction in mountain states shown by Margareta Walhstrom, Special Representative of the Secretary-General of the UN for Disaster Risk Reduction. The GLOBE COP21 Legislators Summit was hosted by the Assemblée Nationale, France’s National Parliament, and supported by GLOBE France in collaboration with the GLOBE International secretariat. The summit was attended by over 221 parliamentarians from over 67 countries. The theme of the summit was TOWARDS COHERENCE & IMPACT: The challenge of Paris and the 2030 Agenda for a prosperous and sustainable world. 5. Increasing effective scrutiny of implementing national legislation on climate and improving transparency and accountability on climate action. Rai, along with Bhubaneswar Kalita (Rajya Sabha MP, Assam), Jairam Ramesh (Rajya Sabha MP, Andhra Pradesh), Sanjay Jaiswal (Lok Sabha MP, Bihar), V.P. Singh Badnore (Rajya Sabha MP, Rajasthan), Mmhonlumo Kikon (Parliamentary Secretary for Labour& Employment, Skill Development, Entrepreneurship and Border Affairs, Government of Nagaland), Malini Mehra (Chief Executive, GLOBE International) and Pranav Sinha (Director, GLOBE India) were part of the GLOBE India delegation to the summit. GLOBE is an international network of legislators comprised of national parliamentarians from over 70 countries and chapters established in over 40 legislature, that are committed to finding legislative solutions to the challenges posed by climate change and sustainable development. The Integrated Mountain Initiative held its annual Meet of the Mountain States in New Delhi on 11 December 2015 celebrating International Mountain Day, at the Vishwa Yuvak Kendra, Chanakyapuri. 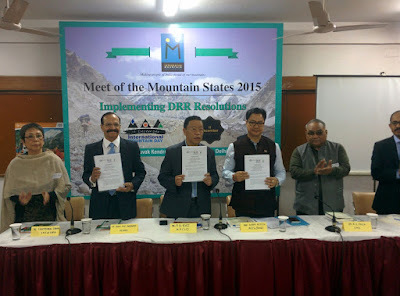 The Meet followed up on the successful conclusion of the 4th Sustainable Mountain Development Summit (SMDS IV) held in Itanagar, Arunachal Pradesh in October 2015. The central theme of the Summit was Disaster Risk Reduction, which is particularly crucial for the mountains which face increasingly frequent large- and small-scale disasters such as earthquakes, flash-floods, and landslides. Natural disasters result in loss of lives, and set back the economy of the region by destroying assets, interrupting school education and livelihoods. To follow up the recommendations made during the Summit, the Meet of the Mountain States was held in the format of a workshop which discussed the implementation of these resolutions, by identifying the implementing bodies, liaison mechanism, resources required, and timelines. The Meet was attended by Lt Gen Marwah and Dr Kamal Kishore, Members of the National Disaster Management Authority, as well as representatives from the National Disaster Response Force, the State and Disaster Management Authorities from Sikkim, Uttarakhand, and Himachal Pradesh. 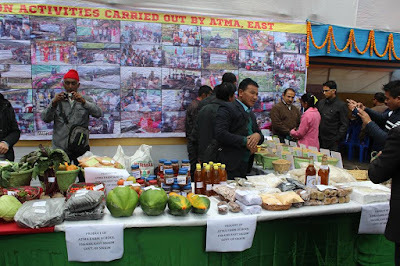 Grassroots organizations working on disasters on the ground, All India Disaster Mitigation Institute, Delhi and Save the Hills, Kalimpong participated. 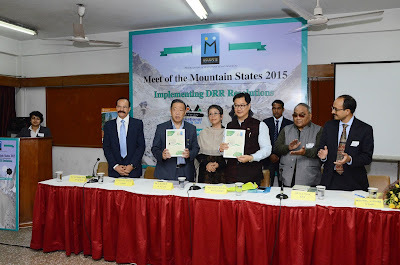 The Chief Guest, Mr Kiren Rijiju, Hon’ble Minister of State for Home Affairs, recently declared the Champion of DRR for the Asia-Pacific region by the United Nations, gave a rousing address espousing his concern about disasters and offering his full support for mitigation and preparedness measures. He also released the summit report from SMDS IV. Mr PD Rai Member of Parliament (Lok Sabha) Sikkim updated the gathering about his participation at the UNFCC COP 21 in Paris, particularly the keen interest in supporting measures for disaster risk reduction in mountain states shown by Margareta Walhstrom, Special Representative of the Secretary-General of the UN for Disaster Risk Reduction. Sikkim Lok Sabha MP called for a fresh people centred approach to address the drug use issue through the lens of human rights and public health. He emphasized that when it comes to addressing drug abuse, the rights way is the right way. 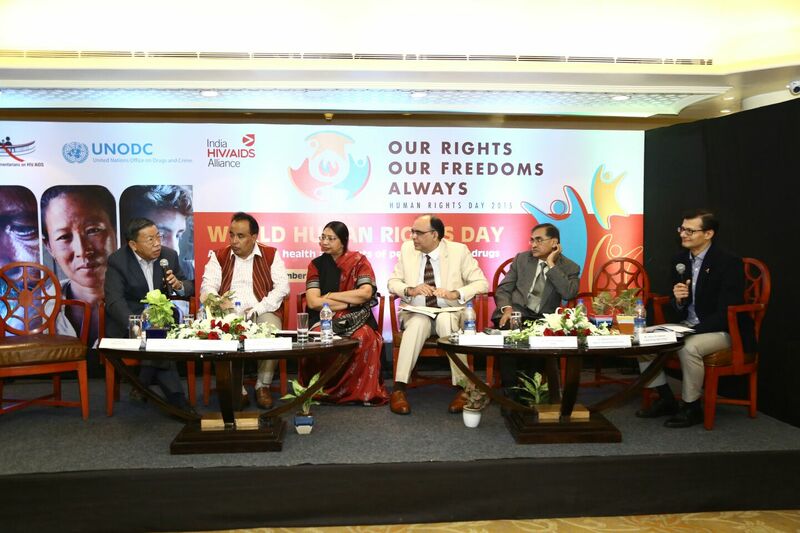 Rai made these comments while participating in a special dialogue on “the right to health and safety of people who use drugs: importance of prevention, treatment and care”, which was organized to commemorate the World Human Rights Day on December 10, 2015. 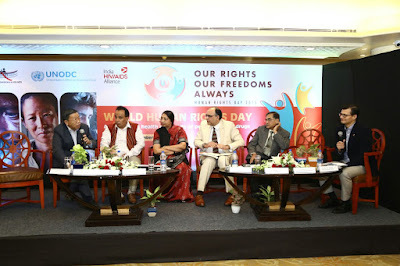 The event was hosted by the United Nations Office on Drugs and Crime (UNODC) Regional Office for South Asia in collaboration with The Forum of Parliamentarians on HIV/AIDS (FPA) and the India HIV/AIDS Alliance. 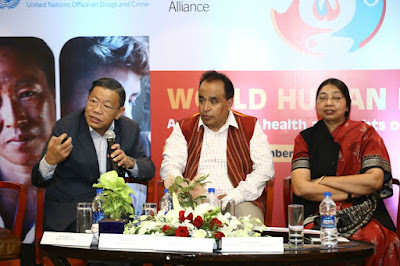 Rai stated that interventions focused on drug abuse prevention, especially targeted at the youth, are the need of the hour, He called for harnessing the positive power of peer influence and highlighted Sikkim government’s SAATHI initiative as model program in this direction. He shared that SAATHI seeks to expand to 100 schools and aims to impact over 100,000 school students across Sikkim between 2016-2019. Rai informed that over 25 students from Tadong, accompanied by 5 teachers, will be attending a sensitization session at the UNODC office on December 15, 2015. The session will focus on generating awareness about the health, social and economic implications of drug abuse. SAATHI is a drug intervention programme under Chief Minister’s Youth Empowerment and Self Reliant Mission and works with students and teachers to spread positive influences. Rai is the Chairman of the Steering Committee overseeing the execution of the SAATHI program. 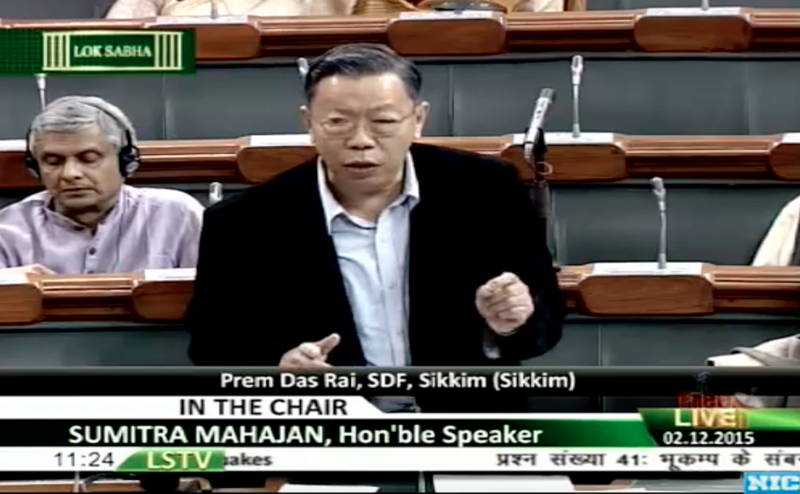 Answering a query on the need for evidence-based policy to tackle drug abuse, the Sikkim Lok Sabha MP highlighted the need to undertake continuous assessment of the trends and patterns of drug use. Rai stated that he has introduced a Private Member Bill to this effect – which calls for the need to conduct yearly surveys to understand the extent, pattern and trend of drug use. Earlier, the event commenced with a welcome address by senior Rajya Sabha MP Oscar Fernandes, who chairs The Forum of Parliamentarians on HIV/AIDS (FPA). Participants at the dialogue include Christina Albertin, UNODC Representative for South Asia; Nagaland Lok Sabha MP Neiphiu Rio; Ghazala Meenai, Joint Secretary, Ministry of Social Justice and Empowerment; Dr. Neeraj Dhingra, Deputy Director General, National AIDS Control Organisation; Rajesh Nandan Srivastava, Additional Director General, National Academy of Customs Excise and Narcotics; Dr. SK Khandelwal, All India Institute of Medical Sciences and Simon Beddoe, Advocacy Officer, India-HIV Alliance, among others. I find myself blessed to receive my first honour as a school teacher from the school where I was first posted at. Good Afternoon to all, with due permission from today’s Chief Guest, Special Guest, distinguished guests from my department .i.e HRDD and others. I am standing at the premises of a school, where I started off my journey as a school teacher. Here I stayed for six long years and I am thankful towards the school administration who finds me worthy of recognition. I find myself blessed to receive my first honour as a school teacher from the school where I was first posted at. An honour is always an honour, whether big or small. It encourages you to improvise your effort to bring the best from you. Teaching is a beautiful profession, I was told during my initial years and at the same time I was made aware it was not the easiest of all. I entered as a teacher to give back something to the society. Today it might seem funny but my intention as a teacher was I always wanted to work in a village school. Over the last ten years, I had many memorable and beautiful years as a school teacher in three schools I had been posted so far. I always believe that we teachers are the medium between the students and the outer world; the less we acquaint our students to the global world, less we are working in their all-round development. Not all students are good in academics but it’s a duty of a teacher to bring out their best. Some might be good in sports, some in culture and some in literature: we need to search for the platform, we need to provide them opportunity and help them motivate in a better way. At this very school, the first ever football tournament played by the students they were routed with 9 goals to nil yet I was part of that moment. I was happy to see many players of that match were the finalist of Sakyong Chisopani Independence Day Football Tournament last year. We teachers have a habit of blaming the students, parents or the guardians for a student’s failure. The day we realize that it was me, who was not able to make the lesson understand to my student, I am sure the outcome would surely be a positive one. Here we are dealing with a student many years junior to us, we cannot communicate with the student through a graduate thinker….we need to go down to the student level…we need to be like them and interact with their ideology. Coming back to Burung JHS, I have seen this school grow from a mere Burung Primary School. I had a good opportunity during my stay at this school. Thank you to NT Sir, Uttam Sir, MB sir, Kamal Sir, Sabitra Madam and Gangaa Madam. From here, I would specially like to thank Mrs. Indira Rizaal, Pre Primary Teacher of this school for helping me in many projects we together did in this school then. I do not hesitate to speak that the honour I received here has her part of share too. Thanks to the new headmistress, her arrival is a blessing to this school, blessing to this village. Thank you once again!! And wishing the school the best in the coming days too!! 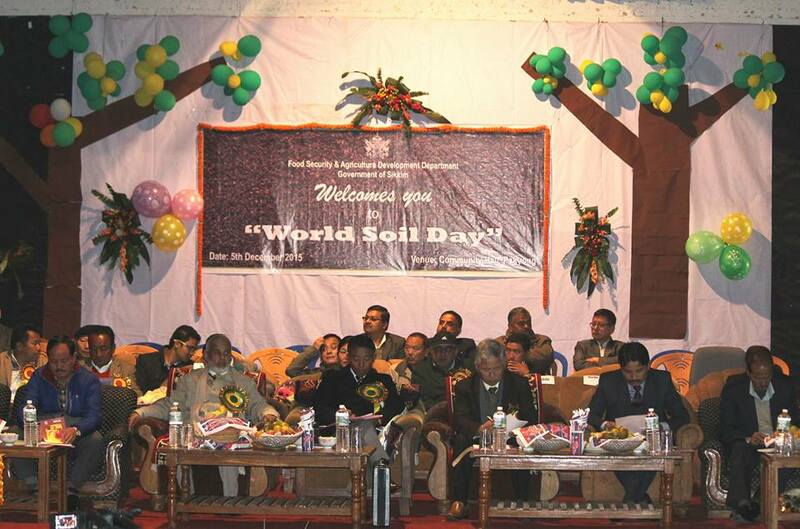 World Soil Day observed today at Pakyong in the Chief Guest of Shri. K.N. Rai (Speaker), Minister Somnath Poudyal (Agri & Horti. ), Minister/Area MLA D.T. Lepcha ( Housing & Building), Bikram Pradhan (Chief Whip), B.B. Rai MLA (Namchebong), Dr. Mechong MLA (Martam-Rumtek), Gopal Baraily MLA (West Pendam), Hemant Adhikari MLA (Rhenock), officials from Agri. & Horti. Dev. Deptt., farmers and general public in the banner of Deptt. Of Agri & Horti. SINGTAM, DECEMBER 5: Sakyong Chisopani JHS Biodiversity Club had its annual meeting today at its school. Teacher and student members of the Biodiversity Club discussed on different matters to enhance the club for the next session. Shital Pradhan, Biodiversity Teacher of the school gave details of the different activities under-taken by the club in 2015 session. Pradhan emphasized that eco-friendly environment help students be familiar with nature and its surroundings. It was also decided in the meeting, one year project on photo-documentation of butterflies around the radius of 10 km from Singtam would be undertaken. Sikkim Lok Sabha MP PD Rai placed the need to improve disaster preparedness in Sikkim and other Himalayan States, particularly in light of their vulnerability to natural disasters such as earthquakes and landslides. Speaking at the Lok Sabha during the question hour, Rai stated that climate change has only accentuated the risk caused by seismic activities in the Himalayan region. Rai pointed out that various studies have predicted an increased risk of a future major earthquake in the Himalayan region. 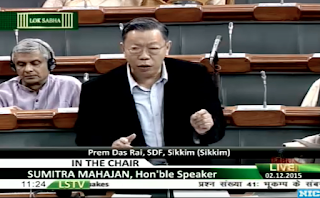 The Lok Sabha MP from Sikkim, while welcoming the initiatives of the Ministry of Earth Sciences in the area of seismology, sought clarification on the steps taken by the government to respond to this threat. Minister of Earth Sciences Dr. Harsh Vardhan acknowledged that the concerns raised by Rai are valid “as Sikkim and other nearby areas are more prone to earthquakes and seismic activities”. He assured Rai that the government will “make sure that no stone is left unturned to take care of these issues in the future”. SINGTAM, DECEMBER 1: Sadbhawana Samiti, Singtam condoles the death of Ganesh Rai, former President of the organization today. The press release reads a small meeting was held at Sadhbhawana Samiti office where more than 20 members paid tribute to the departed soul. Ganesh Rai was the former President of organization and his contribution towards the society is irreplaceable reads the release. 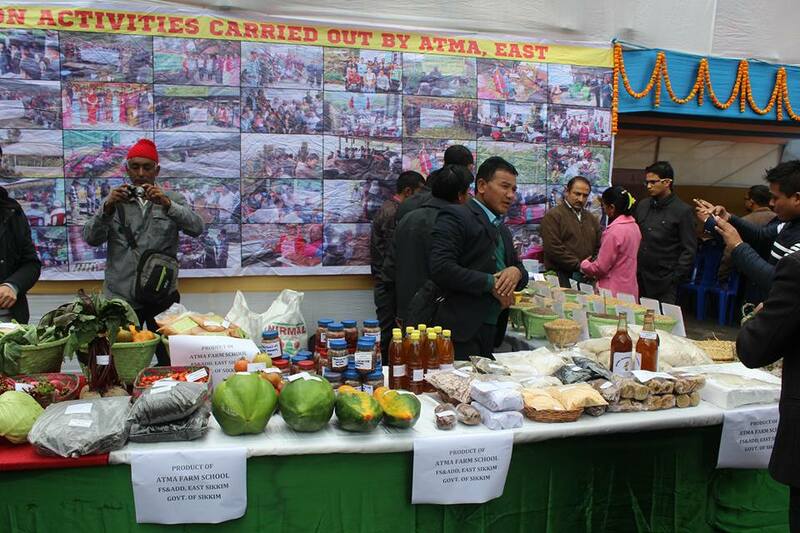 Under his leadership, different work of progress was performed at Singtam Bazaar. Similary, Basibiyalo Singtam also paid respect to the departed soul. Mohan Pradhan “Neeraj”, Sansthapak in his press release has said, Singtam has lost a genuine gentleman who worked for the better society. Today 7 MLAs made an important change for the good of the people and a positive future for Sikkim. With an open mind and heart, the seven MLAs acknowledged the SDF party as the party of progress, the party of opportunity, and the party of the future. 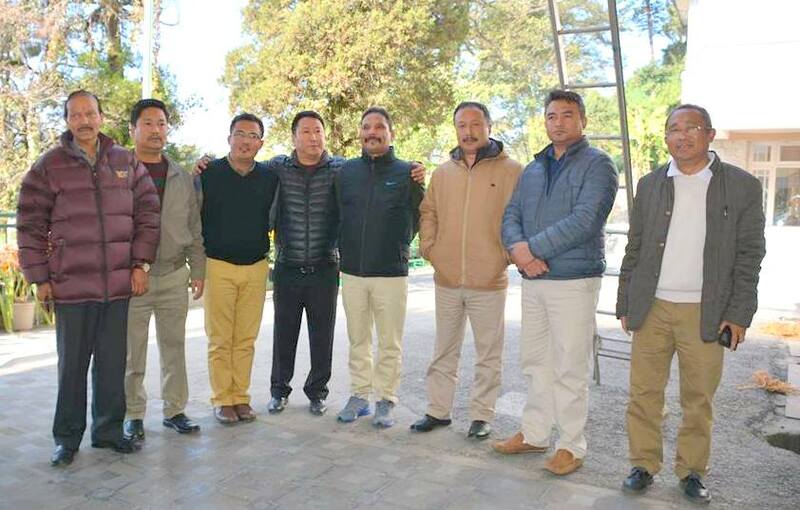 They accepted the positive leadership of Chief Minister Pawan Chamling and reaffirmed their commitment to serve the people under the progressive SDF party. 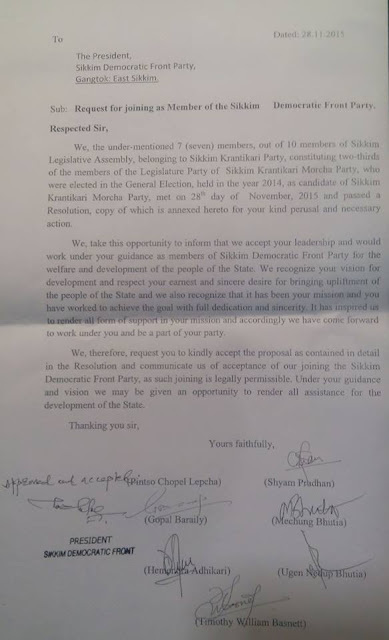 The MLAs left SKM party because of many reasons and joined SDF party under the visionary leadership of Sri Pawan Chamling. Here is the list of MLAs who have resigned SKM. SINGTAM, NOVEMBER 29: Members of Shantinagar Goan Sudhar Samiti organized a cleanliness drive along the Joggers Footpath below Shantinagar river side. More than 30 members of the organization participated in the drive that was held under Swatcha Bharat Abhiyan. 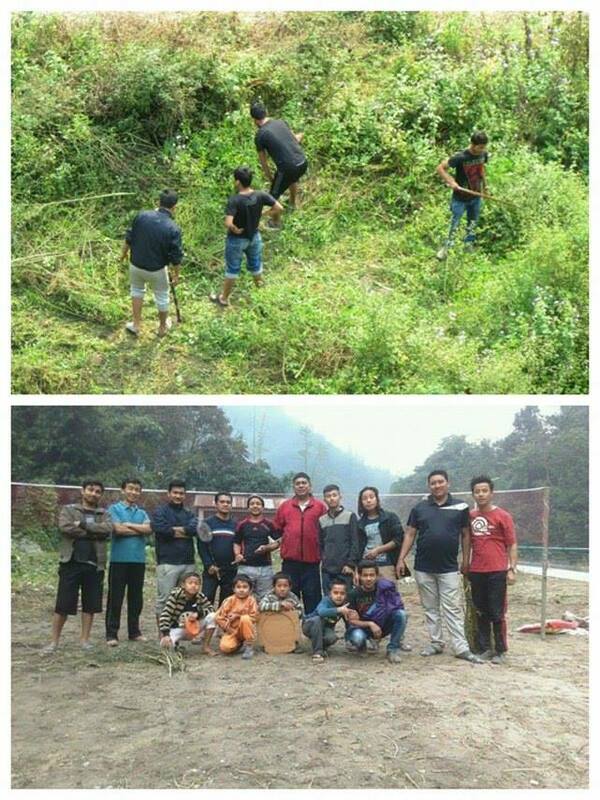 Members of all age, men and women were involved in the cleanliness drive. The team was led by Mohan Sunar, President, Shantinagar Goan Sudhar Samiti. Joggers Footpath at Singtam is a popular footpath that stretches from Singtam Lal Bazaar to Shantinagar. 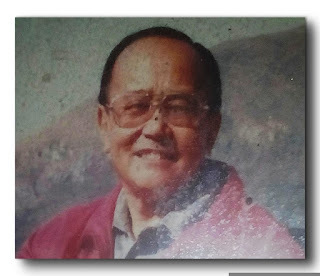 Sikkim Lok Sabha MP Prem Das Rai and Rajya Sabha MP Hishey Lachungpa mourned the demise of sitting Nagaland Rajya Sabha MP Khekiho Zhimomi. Zhimomi was admitted at the All India Institute of Medical Sciences (AIIMS) for the past few days and died this morning after suffering a stroke. The Sikkim parliamentarians visited AIIMS to pay their respects to the departed leader by offering the traditional Khadas. They also participated in the prayer service conducted by a Naga pastor for the deceased leader. The service was also attended by former Chief Minister and sitting Nagaland Lok Sabha member Neiphiu Rio, Government of India's Special Interlocutor for the Naga peace talks Ravindra Narayan Ravi and members of the Naga community in Delhi. Zhimomi was a staunch supporter of the recently inked Naga Peace Accord. Zhimomi was a Rajya Sabha member for two terms - from July 2008 to April 2010 and from April 2010 till his demise today. He served as the member of Nagaland Legislative Assembly for three times. 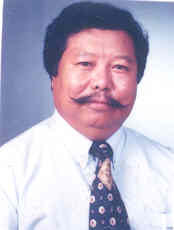 He also served as the Cabinet Minister of Industry, Commerce, Mining and Border Affairs in the Government of Nagaland. As a mark of respect to the passing away of a sitting member, the Rajya Sabha was adjourned for the day. In the obituary reference, Rajya Sabha Chairman M Hamid Ansari described Zhimomi as an "active social worker who strived for the upliftment of weaker and downtrodden sections of society". Zhimomi is survived by his wife, two sons and seven daughters. An impressive songs by the students of Singtam SSS. SINGTAM, NOVEMBER 22: Praja Pradhan, nepali film artiste from Sikkim has thanked Adarsh Youth Club, Adarsh Goan for successfully organizing a charity show of his Nepali Movie ‘12 Nepali Ek Chihan’ at ATTC Auditorium, Burdang week back. Through a press release, Pradhan has thanked Arun Pradhan, Director and Rabin Shrestha, producer of the film for an opportunity. 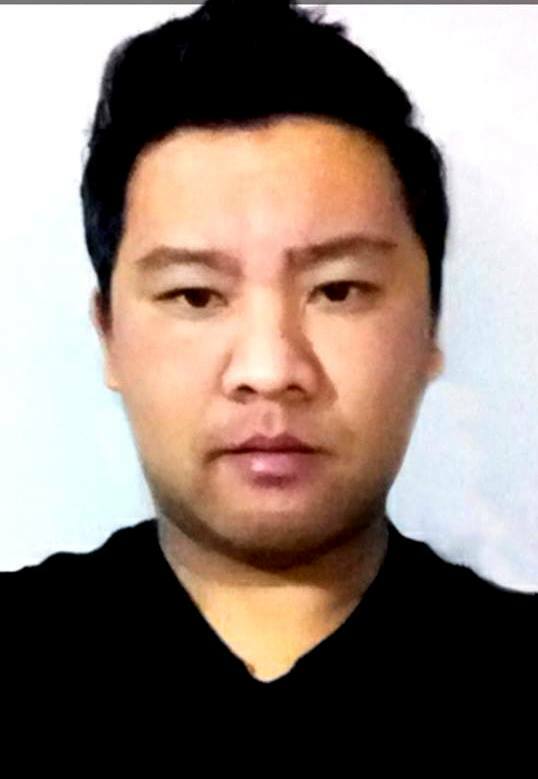 He further thanked Nepali actor Prem Subba for his role in 12 Nepali Ek Chihan’ pradhan went on to say he had done smaller roles in more than half a dozen nepali films and a un-released hindi film made in Sikkim, Darjeeling and Nepal. ‘12 Nepali Ek Chihan’ is his first film in which he plays one of the major characters. The movie ‘12 Nepali Ek Chihan’ is based on a true tragic story of 12 Nepali citizens killed by Iraqi terrorists. Praja Pradhan portrays one of the twelve main characters in the movie. The film has already traveled to Hong Kong, Jordan, Australia and other countries. The charity show of the movie at ATTC Auditorium, Burdang was attended by Agriculture Minister Somnath Poudhyal, members of Singtam and Rangpo Nagar Panchayat, members of film fraternity from Sikkim and others. SINGTAM, NOVEMBER 22: Singtam gets its first photography club. 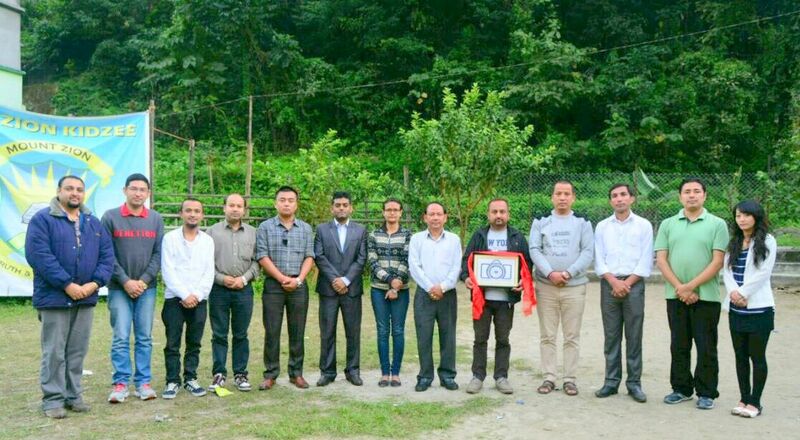 In the function attended by photographic admirers from Singtam and beyond, Photographic Society of Sikkim (PSS) was officially announced and its logo released at Kid Zee School, Dhamala Colony. Mohan Pradhan ‘Neeraj’, Sansthapak of Singtam Basibiyalo was the Chief Guest of the occasion. Plans on organizing photography awareness workshop, field trips, honing of photographic skills were discussed. Portfolios of the members were also distributed. Shital Pradhan, blogger, Proud to be a Sikkimese was the host of the program; he also gave the welcome speech. Milan Sharma spoke about the importance of establishing of Photographic Society of Sikkim. He further spoked about different agendas that could benefit the society with the hobby of photography. Mohan Pradhan ‘Neeraj’, Chief Guest of the program released the logo of Photographic Society of Sikkim. Pradhan in his address to the gathered audience congratulated the team of Photographic Society of Sikkim for having this concept set-up at Singtam. He added such idea is new to this place and it will surely help the society in the better way. Rupesh Sharma (Makha) and Saroj Limbu (Rangpo) also spoked on the occasion. Ujjwal Darjee, the creator of the logo of Photographic Society of Sikkim from Singtam studying at IIT, Kanpur was thanked for the beautiful logo. 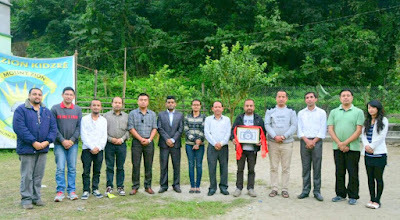 Portfolios were distributed as follows: Mohan Pradhan ‘Neeraj’ (Chief Patron), Sisir Chettri (President), Arjun Chettri and Suresh Pradhan (Vice President), Milan Sharma (General Secretary), Priyanka Tamang and Laxmi Sharma (Joint Secretary), Ashok Prasad and Ravi Agarawal (Treasurer), Shital Pradhan (Publicity In-charge), Rupesh Sharma and Saroj Limbu (Technical Support).